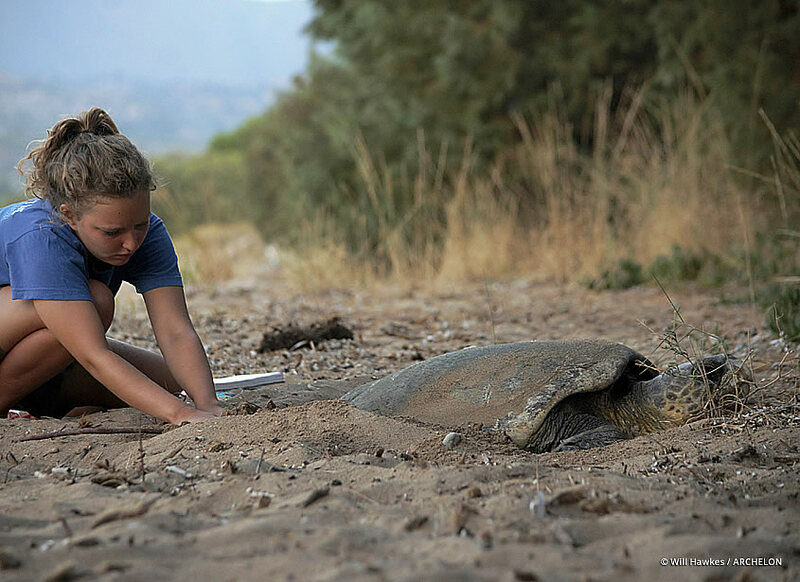 Since 1995, ARCHELON has been conducting a field project in the Koroni area involving the recording and protection of the loggerhead sea turtle (Caretta caretta) nesting activity. The conservation program covers nesting beaches located west of the town of Koroni, where every year an average of 50 loggerhead nests are recorded. Koroni is a beautiful coastal town in the province of Messinia, located at the southwestern tip of the Greek mainland. It is about 50 km away from Kalamata, the regional capital, andit is one of the major tourist destinations in Messinia. Koroni is famous for the Venetian castle which looms over the city, its unique geographical position, its architecture, and the golden beaches that surround the town. Protecting the nests in situ (with ‘fencing’) from both human activity and/or animal predation, and relocation of nests, when necessary. Increasing public awareness of both tourists and local residents by operating a seasonal information station in the port city of Koroni, manning information tables, and organizing presentations in hotels and on tour boats. In your free time, there are plenty of things to discover inside and around the town! 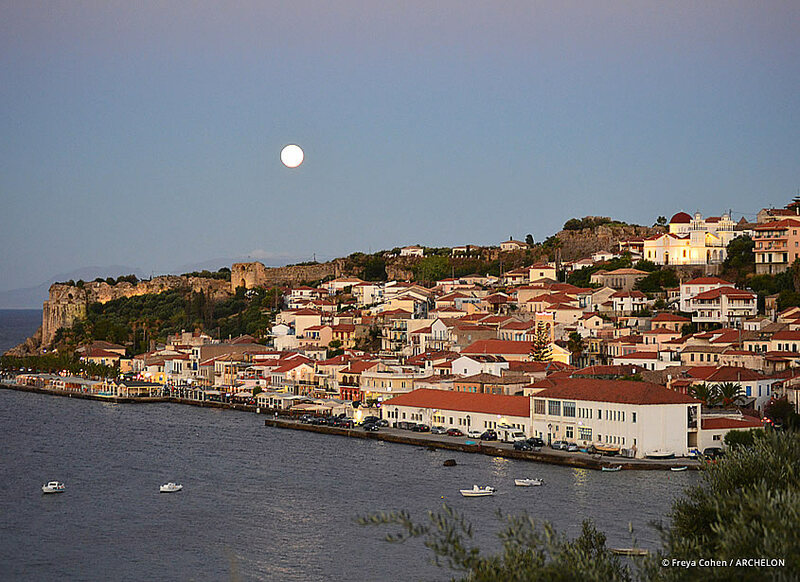 In Koroni, you can attend cultural events that take place daily, wander through the quaint cobblestone streets with their unique houses, and explore the breathtakingly beautiful castle. You can also visit the beautiful neighbouring cities (Methoni, Pylos, Gialova), where history and ancient monuments accentuate the natural beauty of the area. Kalamata, which can be reached within an hour’s drive from Koroni, is a major city that has much to offer visitors (e.g. museums, shops, festivals etc). The Polylimnio Waterfalls, on the way to Kalamata, offer something different from Messenia's usual beaches. Visitors are charmed by the scene of green vegetation, waterfalls, and blue-green freshwater lakes, perfect for a relaxing dip. Volunteers will live in the campground designated by ARCHELON for the duration of their participation in the project. The ARCHELON Research Field Station in Koroni is based at a modern, well-organized camping next to the beach. The site is located at the entrance to the cityand just a five-minute walk to the city centre. Accommodation costs are included in the Participation Fee, as described in the section below. 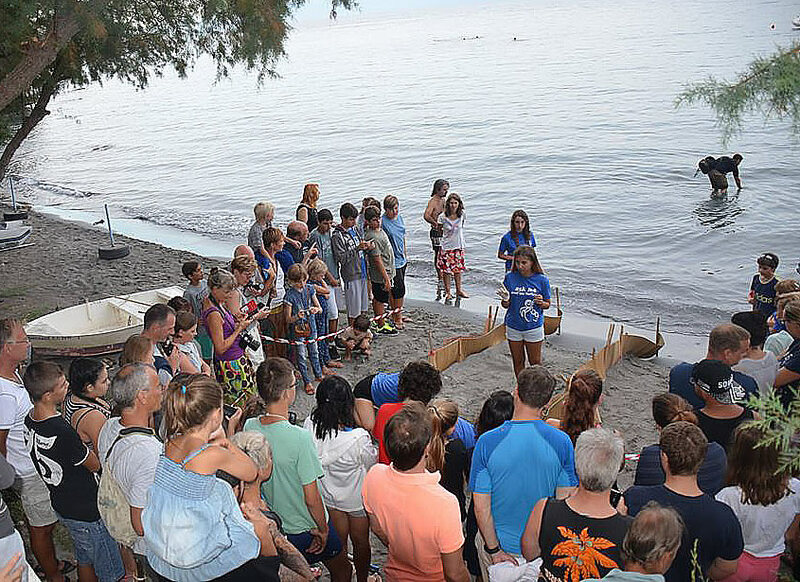 Within the campground, there is an area that is used exclusively by the ARCHELON volunteers and contains all the equipment and facilities needed for daily life. a very warm and friendly atmosphere. From mid-August to end of September hundreds of hatchlings reach to the sea with the help of volunteers and this an excellent time for public awareness and conservation work combined. The Field Station and the project are closed on 25th of September. Families are welcome to join: participation fees for 3 days or 1 week are 50€/parent, 20€/child. The fees do not include accommodation, we recommend to book and pay privately in the same camp site with the ARCHELON Field Station. See more. The project was fantastic and our leader made us feel so welcome. The team in Koroni is smaller than some of the other projects but the friendships you create are so strong. Koroni is a lovely town to be living in, the campsite is really nice and there is a beach only 200m away for when you’re off duty. The volunteering was fantastic, it really felt as if we were making a difference (I have done other marine conservation projects where this isn’t the case). The only thing I would change about my time volunteering is I wish I could have stayed for longer! Participating in ARCHELON was the best decision. It was a unique experience with something new happening every day and it left me with many amazing memories and valuable experience. I learned a lot about the sea turtles and their protection methods and I also loved spreading public awareness while talking to many people. I am glad that I chose the Koroni project - we were working in a small group so we had the chance to become very close to each other. Not to mention, the town of Koroni is absolutely charming.